Whether you are a seasoned Holmes fan or have discovered him via Benedict Cumberbatch’s portrayal in Gatiss and Moffat’s series, it matters not, as there is something in The Vanishing Man for every fan. 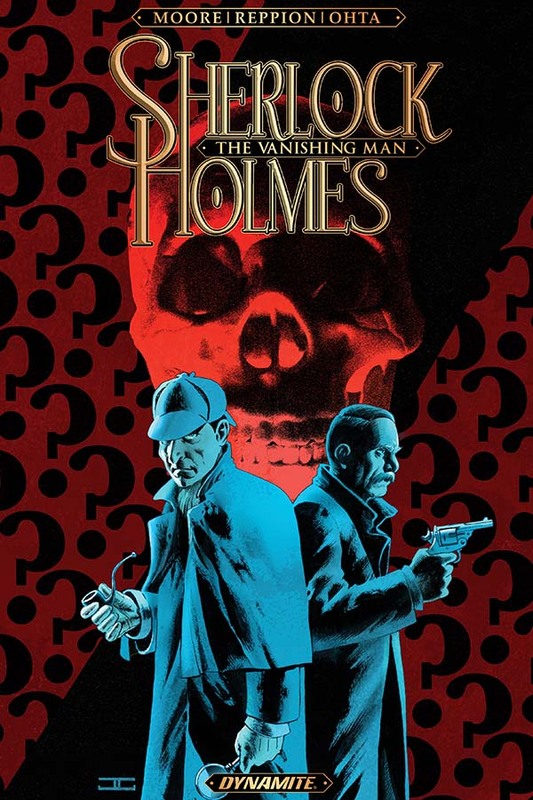 Beautifully written by Leah Moore and John Reppion who capture the essence of Holmes and his esteemed colleague Doctor Watson and whilst the tale is set in Victorian times, The Vanishing Man will throroughly satisfy both classic and modern Holmes fanatics alike . A dedicated family man, Michael Williams is a creature of habit and routine and the reliable sort. Not a man who just up and leaves. So when he goes missing without a trace, his wife calls upon a bored and disillusioned Sherlock and his long suffering cohort Watson, who may finally have a case to occupy himself with and get him away from his drug addled existence at Baker Street.